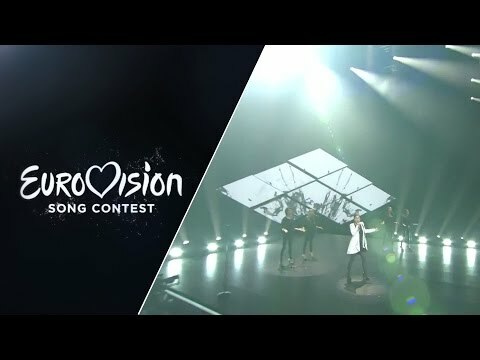 Germany has changed its format for the national final from year to year. Since last year there is a club concert with submitted entries from the public. In that club concert the wild card for the national final will be determined. In the national final there are established singers and the one wild card winner competes against them. Last year, the wild card winner was Elaiza, who have become the audience’s favourite immediately. This year was a very extraordinary year for the German national final, as the winner Andreas Kümmert, who won with 80% of the televotes has withdrawn shortly after the winning announcement. He said he would not suit into this role and he dedicated the first place the runner up. The second place went to the wild card winner Ann Sophie. This was a truly unique and special situation. Germany was shocked by this! At the end the 2nd placed Ann Sophie could win the ticket for Vienna with “Black Smoke”, she received 20% in the super final. Ann Sophie Dürmeyer was born in London in 1990, grew up in Hamburg, Germany. In the age of three she had her first ballet lessons, her wish to become a singer came to reality. After school, she went to New York and attend vocal training at the Lee Strasberg Theatre and Film Institute. Ann Sophie’s idols are Britney Spears, Beyouncé and Christina Aguilera. In 2011 she began her music career with her own composed songs. She already recorded her first album “Time Extended”. In the so called club concert she could win the wildcard with the song “Jump The Gun”. The song “Black Smoke” is a soul-pop song with a great international attitude, which could be played in any night club in the world. The self-conscious Ann Sophie is performing her winning song with a certain professionalism. Her natural stage appearance is incredible for her 24 years of age. The song has a special hook and has a solid instrumentation. It’s always difficult if an entry has been chosen, which is not fully supported by the country’s people, as she only had 20% of the televotes, furthermore it was not the original winning song from the club concert. It would be great if Ann Sophie and her song will get rid of the “second-choice” image and gets fully accepted by the German public. Let’s see how the international juries and televoters will judge this song. This year Germany is celebrating its 60th anniversary in the Eurovision Song Contest. Germany had to pause in 1996 as it has failed in qualifying with Leon’s “Planet Of Blue”. Beside of that Germany has always participated in the ESC from the very first one in 1956. At that time there were two entries per country Germany had “Im Wartesaal Zum Grossen Glück” by Walter Andreas Schwarz (2nd) and “So Geht Das Jede Nacht” by Freddy Quinn (2nd). In that year there was only one winner and all other participants came 2nd. Germany was often very close to victory, with six second places it was very successful even though. But in 1982 a young girl named Nicole could capture the European hearts with a little song of peace in rough political times called “Ein bisschen Frieden”. For a long time this was the only German winning entry, until another young cheeky girl named Lena could win with her unpretentious “Satellite” all votes all over Europe. This song went number one in many European countries. A great success after many attempts of German composers and songwriters to bring the trophy to Germany. Germany belongs to the Big 5 countries (France, Germany, Italy, Spain and United Kingdom) – the biggest financiers of the EBU – so therefore these countries get a granted place in the final and they don’t have to qualify anymore. One of the most successful German composers is Ralph Siegel. This guy has written the majority of the German entries. He even wrote songs for Luxembourg, Montenegro and San Marino. The general interest in the contest changes from year to year, especially after Guildo Horn’s “Guildo hat Euch lieb” (7th) in 1998 the Eurovision-fever has reached the entire country. Thanks to the popular German TV celebrity Stefan Raab, who even took part himself with “Wadde Hadde Dudde Da” in Stockholm 2000, and came 5th. In 2010, Germany could show the rest of the world the latest stage technology and especially how the Germans can celebrate at the 56th ESC in Düsseldorf. The contest was a big success for the city of Düsseldorf for the ESC and last but not least - the positive image of Germany as a Eurovision-enthusiastic-country. The last German entries “Glorious” by Cascada (21st place) and “Is It Right” by Elaiza (18th) did not shape up very well.